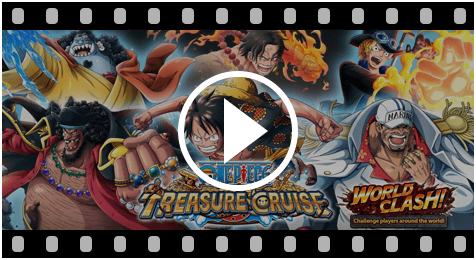 ONE PIECE TREASURE CRUISE WORLD CLASH!! *The Number of Zones Ahead shown above is based on the actual obtained CLASH Pts for each zones. Winning team will get "Portgas D. Ace - Detested Bloodline" early! 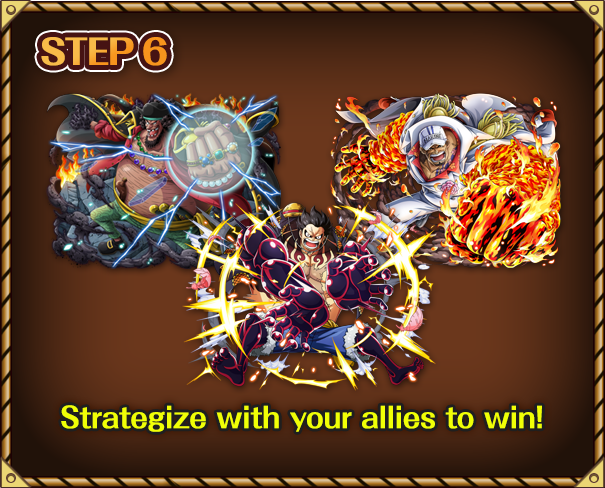 The winning team with the most "Ahead" Zones on Nov. 25 (04:00) PST will get "Portgas D. Ace - Detested Bloodline" early! 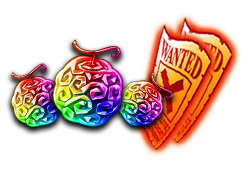 Plus, the winning team will also get 10 Rainbow Gems and 1 Rare Recruit (Sugo-Fest-Exclusive guaranteed)! 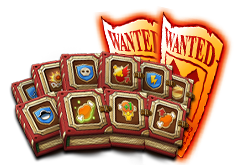 Compete for CLASH Pts with other users around the world! 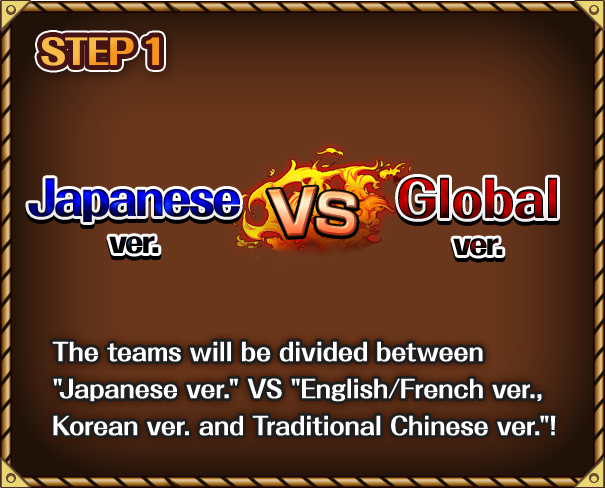 Compete for CLASH Pts with other users in the English/French ver.! 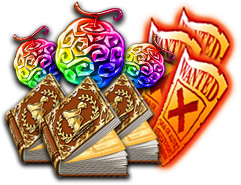 Ranking rewards will be determined by the rank of the Worldwide CLASH Pts Ranking as of Nov. 25 (04:00) PST. 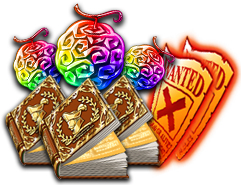 Ranking rewards will be determined by the rank of the EN/FR Zones CLASH Pts Ranking as of Nov. 25 (04:00) PST. 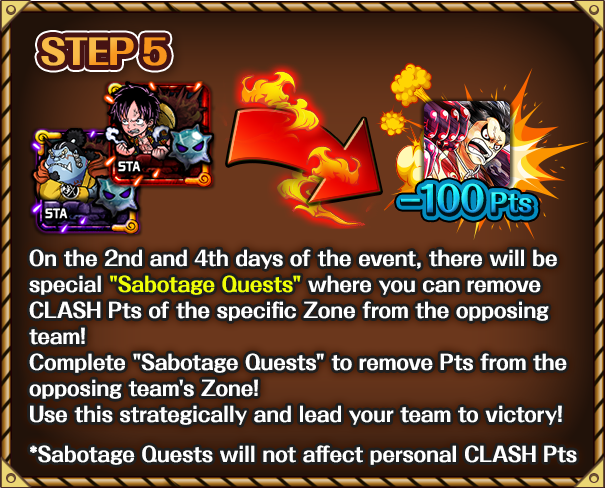 After Nov. 25, (04:00) PST, CLASH Pts will no longer increase the counter. "Japanese ver." team will be consisted by users playing the Japanese version of the App. "Global ver." team will be consisted by users playing the English/French ver., Korean ver. or Traditional Chinese ver. 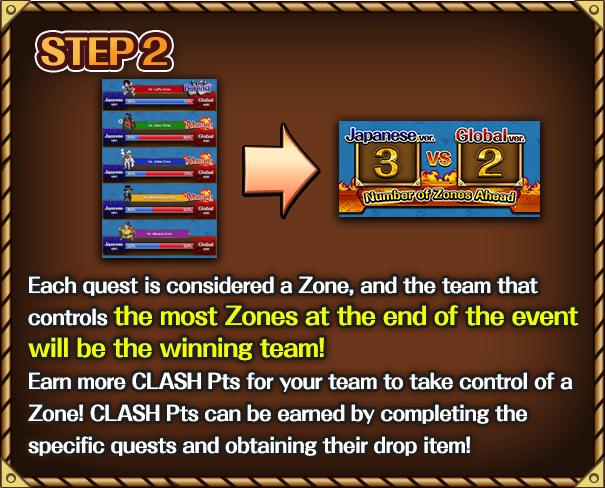 At the time of Nov. 25, 2018 (04:00) PST, users in the Winning team with the most controlled Zones who have also completed "WORLD CLASH!!" 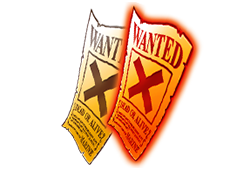 at least once will receive "Portgas D. Ace - Detested Bloodline" through in-game mail via "From the Admins". The Winner reward distribution will start from Nov. 26, 2018 PST. 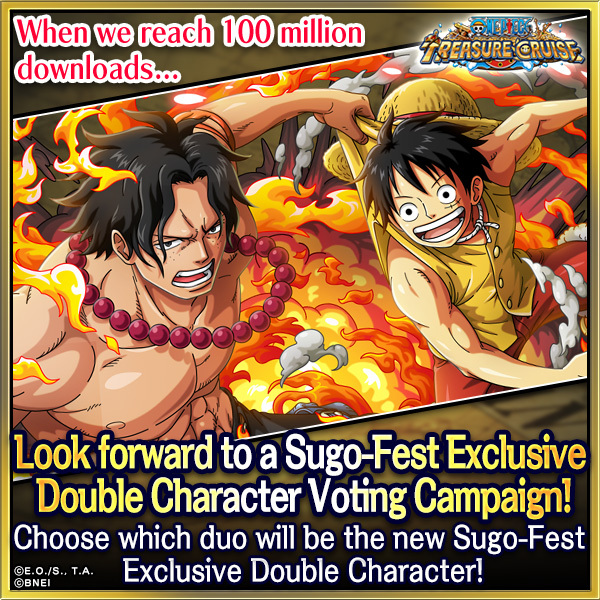 Users who were not in the Winning team will have the opportunity to obtain "Portgas D. Ace - Detested Bloodline" at a later date. *Please understand we will not be answering to individual inquiries regarding the expected release date for "Portgas D. Ace - Detested Bloodline"
At checkpoints 1) Nov. 20, 2018 (19:00) PST and 2) Nov. 22, 2018 (19:00) PST, users in the leading team with the most controlled Zones who have also completed "WORLD CLASH!!" 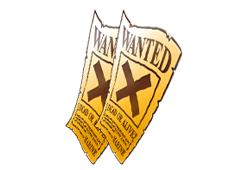 at least once will receive the reward through in-game mail via "From the Admins". 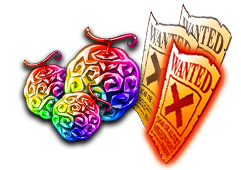 The Checkpoint reward distribution will start from 1) Nov. 21, 2018 PST and 2) Nov. 23, 2018 PST respectively. For each CLASH Pts goal (500,000 Pts, 1,000,000 Pts, 5,000,000 Pts, 10,000,000 Pts, 30,000,000 Pts, 50,000,000 Pts, 80,000,000 Pts, 100,000,000 Pts) reached by Nov. 25, 2018 (04:00) PST, rewards will be distributed through in-game mail via "From the Admins". *Reward distribution may take more time than noted. 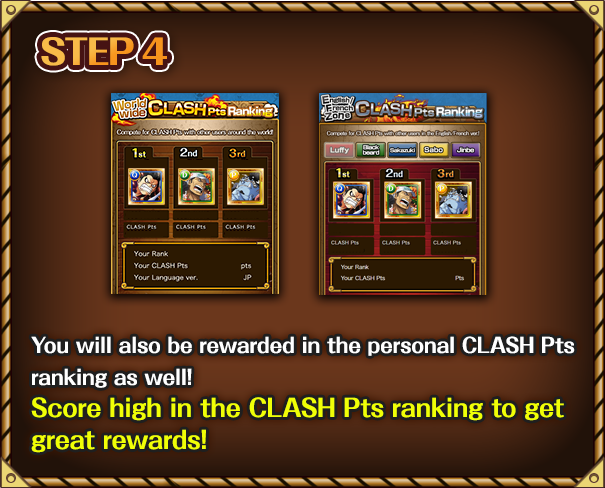 Worldwide CLASH Pts Ranking Rewards will be distributed to users who are within 1st - 50,000th Place in the Worldwide CLASH Pts Ranking as of Nov. 25, 2018 (04:00) PST. 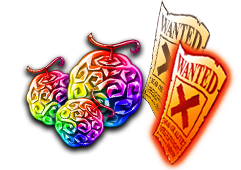 Starting Nov. 26, 2018 PST, rewards will be distributed through in-game mail via "From the Admins". 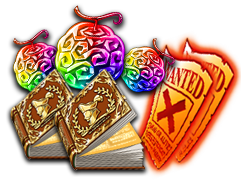 *"Sugo-Fest-Exclusives Only Rare Recruit" and “Rare Recruit (★4 or better guaranteed)” rewards obtained on the English/French ver. will be able to Recruit characters that are available as of Nov. 16 PST. *Characters exclusive for WORLD CLASH! 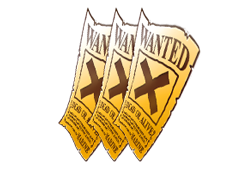 Sugo-Fest, Treasure Sugo-Fest, secret characters and limited-time characters will not be included in the reward Recruit. *Content may vary depending on the app's country/region version. 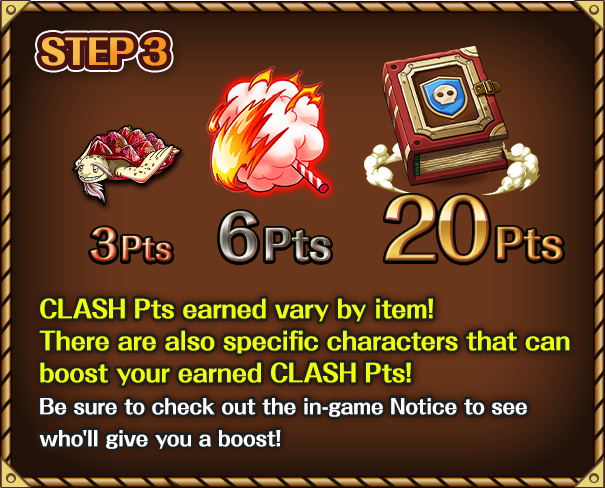 Zone CLASH Pts Ranking Rewards will be distributed to users who are within 1st - 20,000th Place in the Zone CLASH Pts Ranking as of Nov. 25, 2018 (04:00) PST. 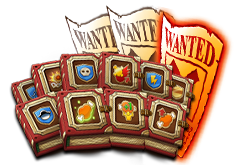 Starting Nov. 26, 2018 PST, rewards will be distributed through in-game mail via "From the Admins". The tally for the results after the event is scheduled to be completed by Nov. 25 (19:00) PST. If you haven't received any mail by the stated times, please return to the title screen and check your mail once again. 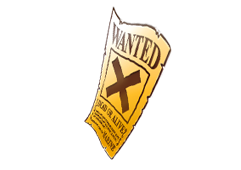 The deadline to pick up all rewards is Dec. 16, 2018 (06:59) PST. Please be aware that this event is subject to maintenance if needed. Thank you for your understanding. 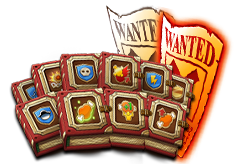 Assemble your crew for an epic adventure!Unleash amazing combos with simple taps! WORLD CLASH SPECIAL MOVIE AVAILABLE!